Say what you want, but you can’t take away George Lucas’ credentials as a great American storyteller. If you ask me—and why would you—he’s right under Mark Twain in terms of the great American storytellers. 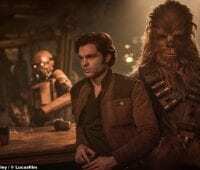 Yes, he’s a tinkerer who went back to the well one too many times to touch-up a movie(s) he never felt was perfect (which is a curse all artists have), but the Star Wars mythos—which now stretches to ten films—is a triumph of story. And despite his tinkering and his aversion to directing people and his over-reliance on computer imagery as a substitute for the human aesthetic and…we could go on but let’s not…despite all that, Lucas was the shepherd who oversaw the biggest crossover of a “nerd” thing into the mainstream. Once upon a time Star Wars, and all other sci/fi and space-themed stories were relegated to dime store comics and pulp novels to be read on the can lest you be mocked by any who saw the book in your hand. Lucas took what was restricted and made it casual. 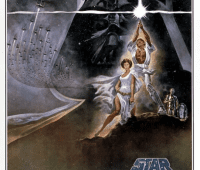 Everyone and their grandmother saw Star Wars in 1977. 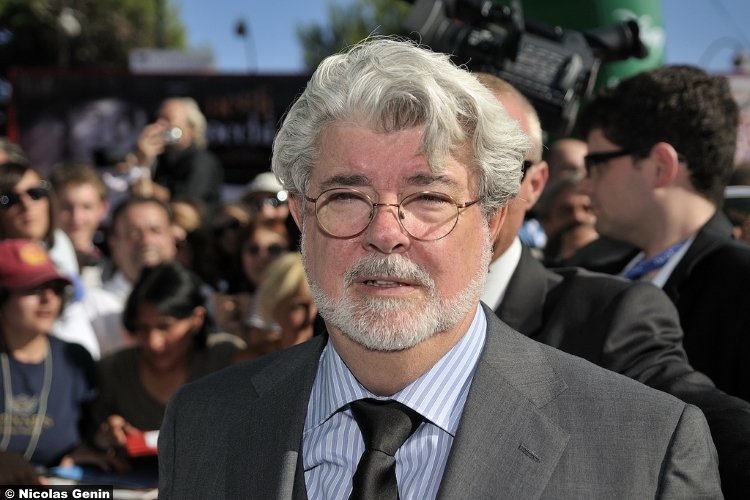 And though it’s taken another generation for nerddom, in general, to take over the entertainment industry (look at the budgets and the profits of movies based on previously-D-List comic characters like Iron Man and Black Panther), you can fairly point the finger back to George Lucas. Lucas sold the production company that launched that takeover of the world—Lucasfilm—and now it’s in the hands of Disney. Under top banana Bob Iger the House of Mouse is a very hands-off overseer of various money-making properties. Disney has a near-Infinity Gauntlet of hit-makers: An animation division, a live-action division (specializing lately in remaking the animated hits of yesteryear), a Pixar division, a Marvel division, and a Star Wars division (not to mention ABC and ESPN). Soon they’ll have a 20th Century Fox division for all those hard PG-13/soft-R rated movies they can’t release alongside When You Wish Upon a Star. This hands-off approach is especially evident when looking at Marvel Studios. Kevin Feige is the Godfather of the franchise and he has great autonomy to spearhead the movies he wants, according to the order he wants, the tone he wants, etc. When Infinity War’s controversial “kill half the heroes” ending was pitched, Disney chief Bob Iger resisted, considering two of the nixed heroes were Black Panther (just coming off a culturally-significant billion dollar earning) and Spider-Man (a character shared with Sony). Feige stood his ground and supported his directors/writers and Bob Iger—their boss—relented. Feige has earned his trust and hit after MCU hit has given him a wide berth. Star Wars is a more complicated situation. While it’s easy to look at the most recent movie (and it’s terrible performance), there is more to it than just one movie. Furthermore, if this was just a discussion of the past four Star Wars movies’ box office hauls, then you’d have to admit, the three movies before Solo (which Kathleen Kennedy has overseen as the new head of Lucasfilm) have grossed over four billion dollars. All three are in the top-ten all-time list for domestic earners. 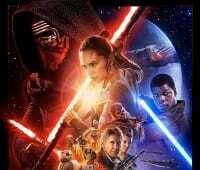 The Force Awakens had major rewrites and delays, featuring a fired writer and leading to a seven month release bump. Rogue One went through massive reshoots and re-edits, with the director basically dismissed (unofficially) and replaced by the writer who restructured a huge part of the third act (which, to be fair, was the best part of the movie). Josh Trank was axed from an untitled Star Wars stand-alone movie, due to being a raging lunatic on the set of Fantastic Four and creative differences but mostly being a raging lunatic on the set of Fantastic Four. Colin Trevorrow was fired from Episode IX due to being exposed as a pretentious hack who made the awful Children of Men and creative differences but mostly for being exposed as a hack who made the awful Children of Men. The movie was subsequently bumped from May to December—much like The Force Awakens was—with JJ Abrams back in the chair. With Solo, Lucasfilm chief Kathleen Kennedy hired Phil Lord and Chris Miller—fresh off the imaginative and clever beyond measure The Lego Movie—to bring the story to life. They were soon fired by Kennedy for failing to keep pace with the production schedule and for doing too much improv with the screenplay. 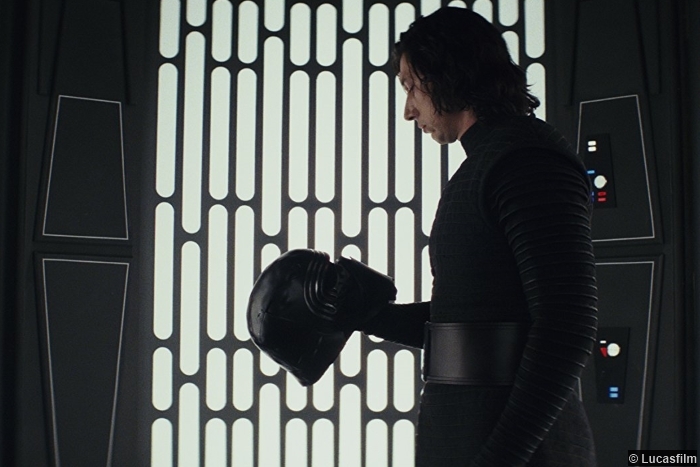 Each of those movies (all but The Last Jedi are included) had behind the scenes drama in one capacity or another. Each circumstance is different but they all share the same root problem: The movie that was being developed was failing to be what it needed to be. Sometimes the failure was realized early on (as with The Force Awakens and Episode IX). 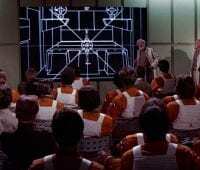 Sometimes it was realized very late (Lord and Miller were midway through production when they were fired and Gareth Edwards had basically finished Rogue One with Tony Gilroy was brought in to re-write and re-shoot the whole third act. At some point the blame has to go beyond the creative team(s) and to the person hiring these ill-fits. 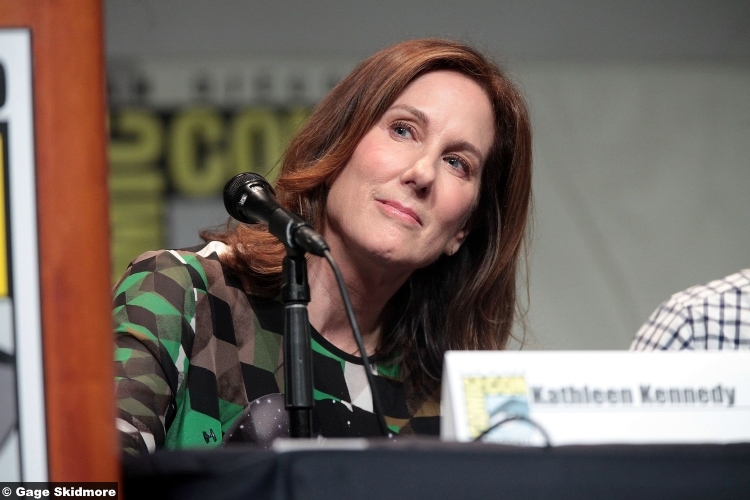 It’s okay that Kathleen Kennedy is not Kevin Feige. She doesn’t have to be a story-driven/creative sort of overseer. She’s a businessperson and her job is to facilitate creative people to make the magic happen. And, again, if you’re looking only at end-results…four billion dollars in three movies doesn’t lie. But over and over, extra money had to be spent, extra time had to be given and extra work had to be done at the last minute to get those movies out. There’s a sense of “just hanging on” and “survive and advance” (to use an NCAA Tournament metaphor) feeling to Lucasfilm these days, which is in stark contrast to things at Marvel, where they seem perfectly in command with what they want to do and how they want to achieve it. 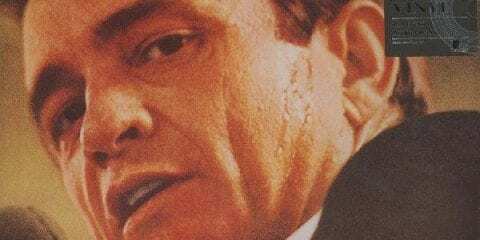 Kennedy doesn’t have to be a story-telling Godfather (Godmother? Fairy Godmother?). She just has to do a better job picking directors who can have a big picture vision that is compatible with Star Wars in general and with the quick turnaround these annual movies require. The Last Jedi worked because Rian Johnson (who both wrote and directed) had a very clear idea what he wanted to do. Now you may not agree with the end result from a storytelling standpoint, but at least RJ executed his vision from beginning to end, on time and under budget. Lucasfilm needs more of that. 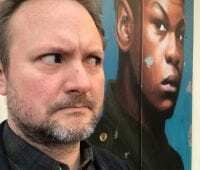 Along the same lines, Colin Trevorrow was hired to write and direct Episode IX, despite the fact that he’s a poor writer and mediocre director. He was hired because he had a huge hit with Jurassic World, a movie that succeeded in spite of itself and which seems to have grown more unloved as the years go by. It’s the opposite philosophy that guides Kevin Feige when he picks directors. He plucked the Russo bros from doing Community and Arrested Development and gave them to Captain America (the most unfunny Marvel hero) and eventually The Avengers. He tasked Taika Waititi (best known at the time for a Spinal Tap-esque vampire-themed mockumentary) with finally making a good Thor movie. He’s an out of the box thinker but he makes smart choices and has been rewarded. Kennedy needs to emulate that. There are calls in some circles of Star Wars fandom for her to be fired as the head of Lucasfilm. That’s ridiculous and there are four billion reasons why. It’s not fair to expect perfection, nor will it right to call for her head when she (eventually) releases her first flop. Pobodies Nerfect. But there’s only so many times you can pull an eleventh-hour save/last second hail mary and succeed over and over before you finally stumble and fall on your face. Eventually, the law of averages catches up to you and one flop becomes two and three and then you are out the door. SOLO is a box office disappointment, that can’t be denied. If Disney wants to have one (and possibly more?!) movie a year with this franchise, it’s up to Kennedy to be smarter with who she hires to oversee the creative direction of Star Wars going forward.